​2015 was the year Australia stood up and took notice of superbly talented, Melbourne based singer songwriter Ben Wright Smith when his single No One achieved full rotation on Triple J and infectious live show wowed the masses. 2016 is an exciting year for Ben Wright Smith, who has so far been hidden away in the studio with none other than his favourite writing buddy Oscar Dawson (Holy Holy) putting the final touches on his debut album, due to be released later this year. 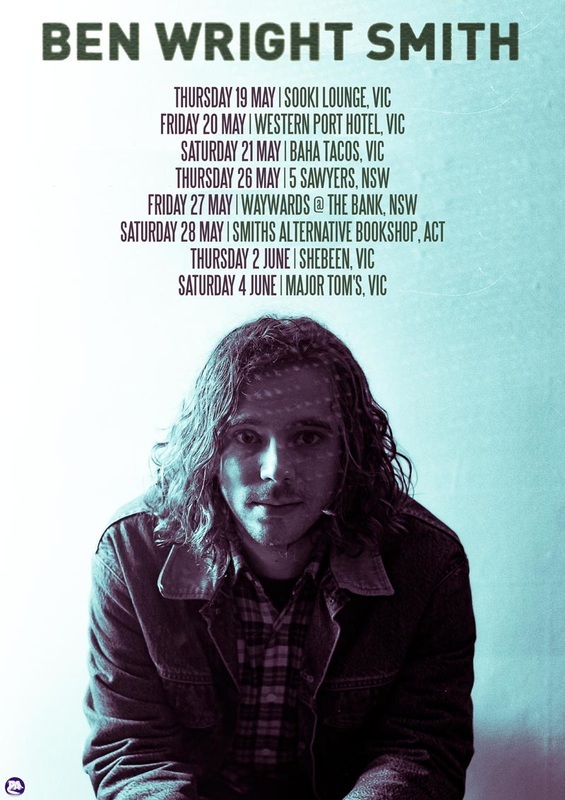 In need of some fellow human interaction and sunlight Ben Wright Smith has announced a slew of shows in both regional Australia and the capital cities.